Bring your appetite and wallet to this bistro – a perennial favorite for old-fashioned dishes like boeuf bourguignon, duck confit and gigot d’agneau. It’s the French bistro you’ve always imagined right down to the communal pot of pickled herring, the gruff waiters and red gingham toilet. They make a mean Grand Marnier soufflé as big as your head that must (and should) be ordered at the beginning of the meal. 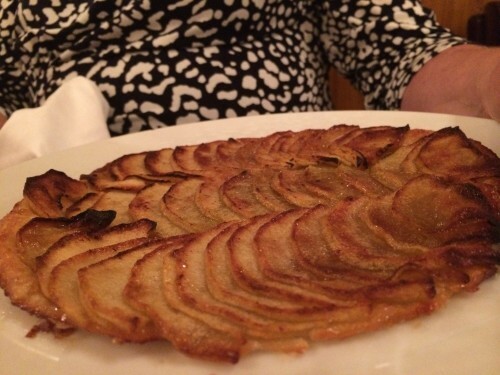 The millefeuille is worth saving room for, too. When half portions are available, order those as they tend to be the size of any other restaurant’s normal portions. 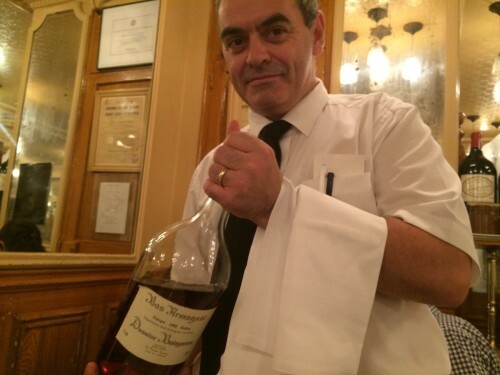 There’s an excellent selection of Armagnac and other digestifs to help wash down all the duck fat. You can easily book by phone in English. It’s no problem at all. We ate here. Literally the best food experience I have ever had in my life. Ever. We left full and decided to fast for the 24 hours afterwards because this place raised the standard for food too high. Service was excellent. Folks got all the important touches down. 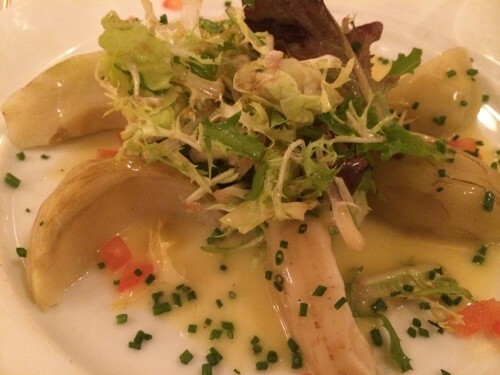 We would visit Paris again, for the opportunity to dine here. We love Paris. We’ve been coming to Paris every year for 15 years for a month each time and we speak French. We’ve been to Josephine many times before, but something has happened to the staff. Maybe it’s too much blog exposure, like what happened over the years to Balzar and to Robert & Louise. 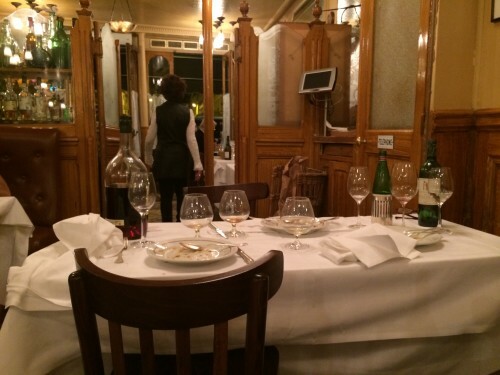 We had a very ordinary unmemorable meal there tonight – and paid almost 400 euros for our food & wine. The staff was very unwelcoming even though we had reserved in advance and we were seated in the rear room next to the toilettes, which was unpleasantly interruptive. 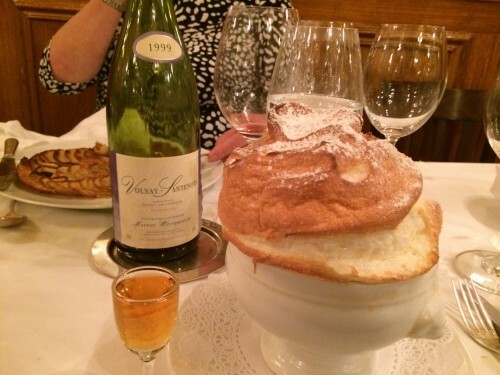 The soufflé was as big as ever, but no better than a Grand Marnier souffle at many other restaurants. 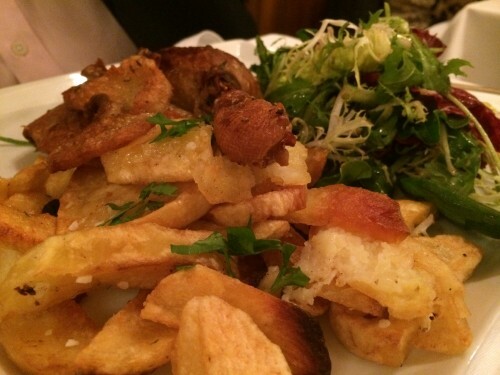 The duck confit was no bigger or better than confit at our other favorite restaurants. No one even noticed or said au revoir when we left. They’ve got a valet out front now, probably to handle the crowds of Americans – it was so impersonal that we will not be going back. Do you know by any chance any classic bistro types that stays open during August which is recommendable? They’re pretty big! And doggie bags aren’t really a practice in Paris (neither is splitting a dish). You could always forgo the starter and just do a main (plat) if you’re concerned. How big are the portions here? I’m a solo diner, and I can’t do big portions – been reading reviews here and there the portions are huge here. 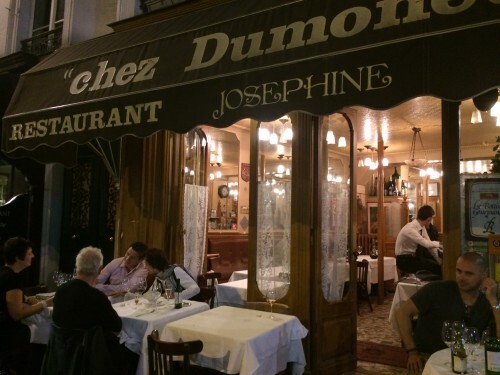 Do you have an email for Josephine Chez Dumonet in order to make a reservation? Thank you.